Why is Mantra important to daily practice? What is mantra and what does it do for us? “Manta is a Sanskrit word — “manas” and “tra.” [Editors note: Manas translates as “mind” and “tra” as “instrument of thought.”] Actually it means: protection of your heart. When you say the mantra it protects your heart. Actually, that means, it protects your consciousness, protects your mind. It also means bless your heart, bless your mind. Tibetan word is Gsang-ah. Or ah. Gsang-ah just really means “secret.” Or “esoteric” — Gsang-ah. So the mantras are also secret, esoteric. But, at the same time, we say mantra all the time. You go to Tibet, and Tibetans do “Om Mani Peme Hung” [Sanskrit: Om Mani Padme Hum], mantra of Chenrezig, and Tibetan children, you don’t have to teach. Little toddlers, they pick up the sound from their mothers and fathers and brothers and sisters. Everybody says “Om Mani Peme Hung” — mantras of Chenrezig, or Tara — in the morning, or all day long. So, they just pick it up. So, in that sense, it is not something secret. In Tibet and some areas of India or Nepal you might come across Mani walls or Mani rocks like this one. 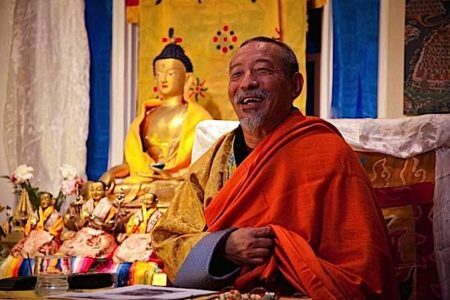 These numerous tributes to Chenrezig remind us to keep compassion in our heart as we go about our daily tasks. 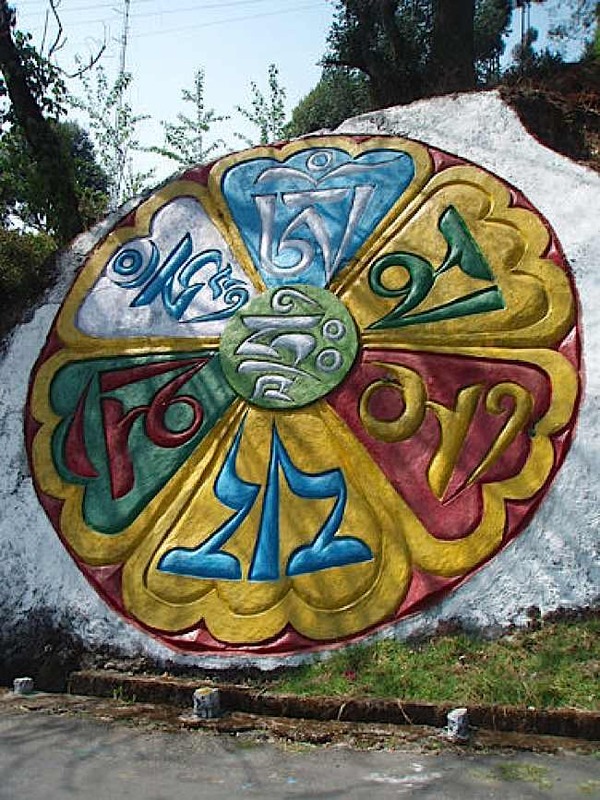 The Mani wheel shown here has the “Hrih” seed syllable in the centre and the full Om Mani Padme Hum mantra in Tibetan letters. But — it is secret. It’s nature is secret. So, when you say the mantra, you are calling the Buddha. You are calling the Buddha. You are invoking the blessing of the Buddha. And, every time you say the mantra, you become closer to the Buddha. The more you say the mantra, and the more you say consciously, then it becomes more powerful. It makes you feel closer to the Buddha. If you don’t say it consciously, or you don’t pay attention, or, you say the mantra in your mouth while doing something else, then it’s kind of mixing up everything. 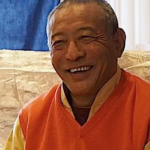 Zasep Rinpoche answers a student’s question on mantra. In some ways, that’s okay. Integrating mantra into everyday life, right? In some ways it’s good. But when you do this you’re not really focusing the mind on the mantra. 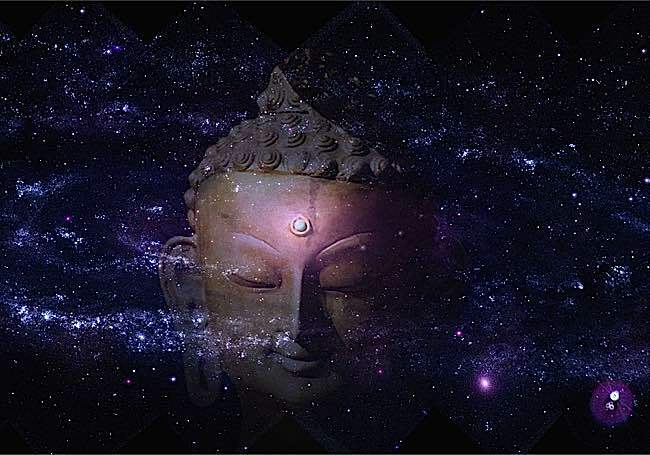 So, the more you focus the mind on the mantra, understanding the meaning of mantra, and focusing on the energy and blessing of the Deity [Buddha], it makes you come closer to the Deity. Then, there will be more blessing, and more protection. So, mantra is calling the Buddha. Mantra are also praises of the Buddha. Mantra is medicine. Mantra is like food for the body. Mantra is like medicine for the body. Mantra is medicine for the mind. It calms the mind. It has an immediate effect. It depends on which mantra. Some mantras have the quality of stimulating your mind. Some mantras have the quality of making your mind more clear. For example, when you say the mantra of Manjushri, Sarasvati, and so forth, it has the quality to make the mind clear. It helps you to understand the nature of things, you study well, and think well, analyze, compose and writing and so on. Different mantras have different effects. Green Tara is a very popular Yidam, representing the activity of Compassion of all the Buddhas. Her mantra, Om Tare Tuttare Ture Svaha, is spoken by almost all Tibetans from childhood on. Her mantra is protective, like a mother’s protection. For example, when you say the mantra of Tara, or mantra of Hayagriva, or mantra of Vajrapani, or mantra of Yamantaka, or mantra of Mahakala, you receive protection and blessings. So, the mantras are very precious. Some people ask the question, “Why say mantras again and again, so many times. That’s a typical question, a Western question. See, I’ve been living in the West for the last forty years. Forty years. And I know a lot of people’s questions. People ask why say mantra 100,000 times, 400,000 times, 1 million times, why? Some people think, why do you have to call the Buddha so many times? It’s not that you have to call the Buddha so many times. It’s not like you’re calling some company, or some politicans, or some government people, and they don’t answer you. It’s not like that. Why you have to call so many times. The reason why you have to say the mantra so many times is because of you — for your mind. Not for the Buddha. Your mind. The more you say, you practice, it purifies your mind, purifies your karma. It blesses your brain. It blesses your breath. It blesses all your organs. It blesses your blood. When you say mantra, your blood pressure goes down. And when you say the mantra, your blood sugar goes down. It helps you digest. It purifies your nervous system. It relieves your stress, and anxiety and so forth. The more you say it, the better, because we have so many issues! We’re human beings. we have many problems, right? Another thing is, the more you say mantra, there is less space, and less room for delusions in your mind. This is why you say so many. Well, some people say, “why do you sit so long?” So many hours. When you do Vipassana retreat you have to sit, sometimes, fifteen hours a day! Minimum ten hours a day. Why, sit so long? Well, why not? You have to sit, in order to get Enlightened. Buddha sat under the Bodhi tree six years! The more you sit, the more you can process. Like that, the more you say mantra, it helps you to “process” your mind. This is why you say it many, many, many times, the mantra. Mantra is protection of your mind. Mantra purifies karma, purifies your mind. Also, mantra is not just for me, for myself. We say mantras for others. For healing purposes. Blessings for others. Protection for others. 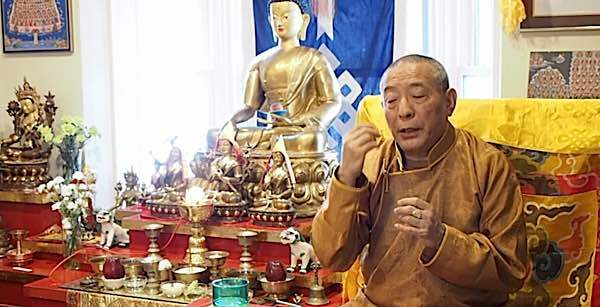 We dedicate, we share our mantra practice for the benefit of all sentient beings.